I love halloween decorating ideas. It is that time of the year to start thinking about how we are going to decorate our house as well as what we are going to wear. Most of the time this means we have a lot of creating to do. 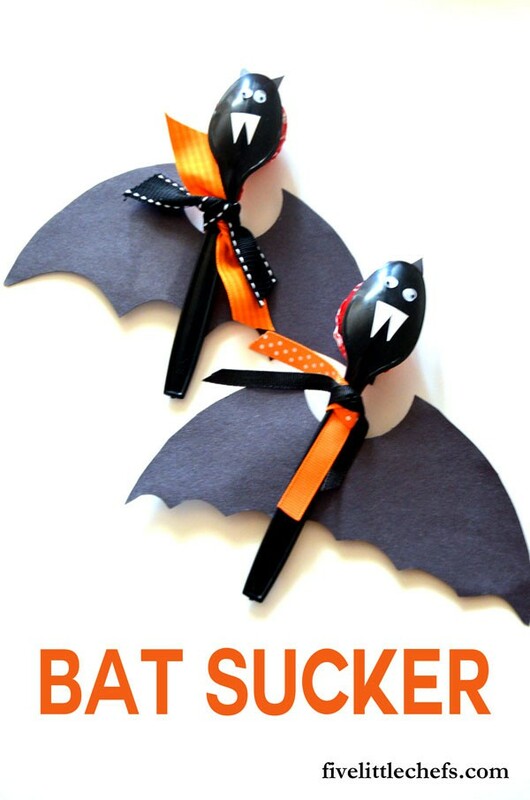 Sometimes easy crafts can be easy but time consuming. 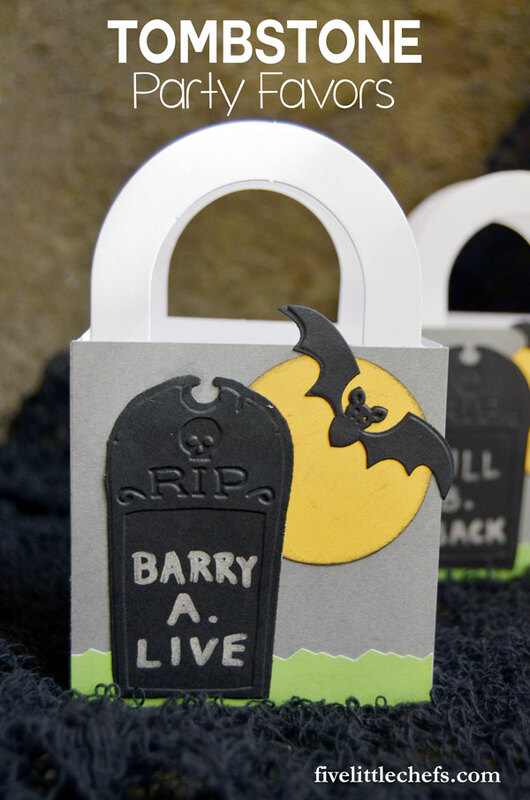 Today’s BOO Sign is an easy craft that can be finished extremely quickly. The hardest part is to cut the wood board to the correct size. I love putting halloween signs on the porch and all around the house. I found these awesome wiggly eyes at the craft store. I knew exactly what I wanted to do with them at once. 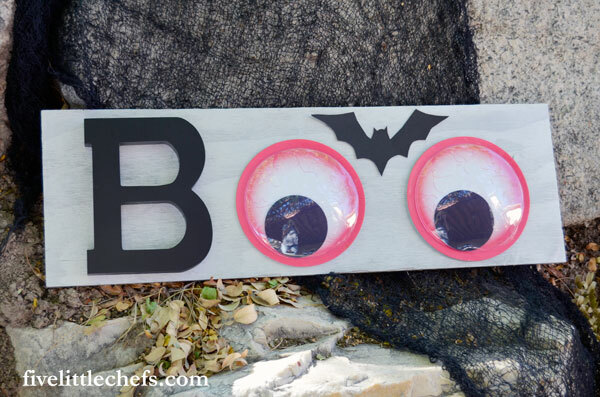 I wanted to create a Halloween BOO sign perfect for my halloween decor. 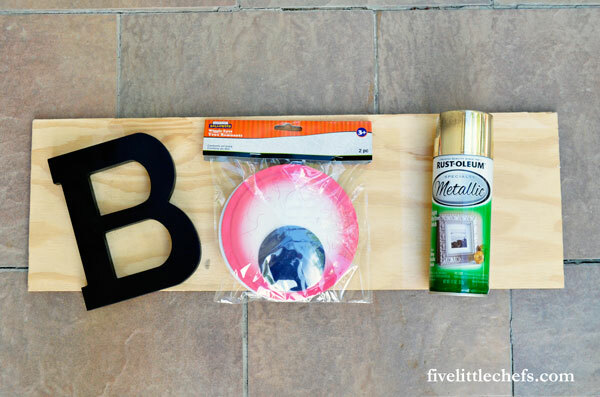 Paint your wood board with the silver metallic spray paint. It is best if you lay out some newspapers first to protect your surface. Place the wood board on top of the newspaper and then the wood board on top. You may need to apply a few coats to fully cover the wood. When the board is dry attach the “B” and the wiggle eyes. Print the bat stencil at 70%. Cut out the stencil and attach it to your wood sign as shown between the eyes to act as eyebrows. Printing on card stock would make it sturdier if you are going to use 3D dots to attach it to your sign. Some printers are hard to work with card stock, in that case print the bat stencil as indicated and then trace it onto black card stock and cut it out. You really are only looking for the shape of a bat. I found my wiggle eyes and “B” at my local craft store. It seems letters are common at all craft stores I frequent. There are so many different sizes, fonts and thicknesses. You may not be able to find the exact same letter, but I’m sure you will be able to find one that works well. The wiggle eyes come in different styles as well. In addition to these red eyes, there are green eyes. I love this new addition to my Halloween decor. 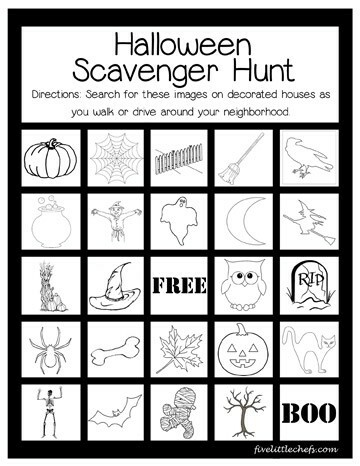 If you are planning your own Halloween party check out these Tombstone Halloween Party Favors, Bat Suckers, or our popular Halloween Scavenger Hunt to play with your family. 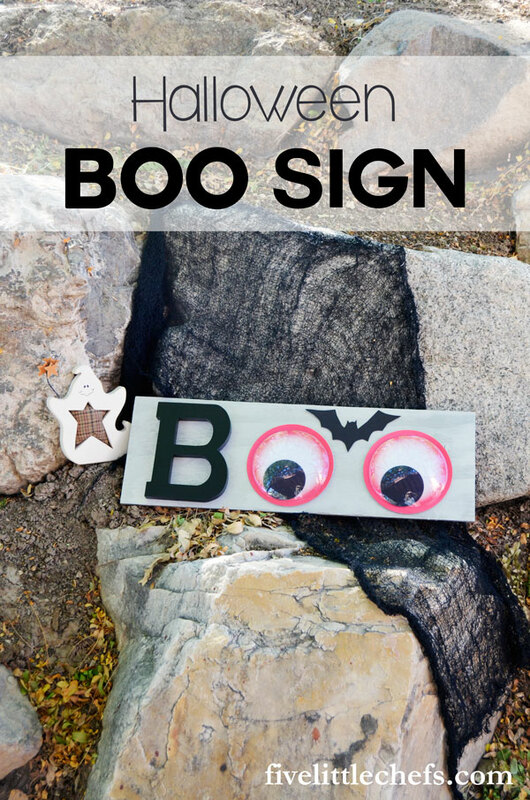 4 Replies to "Halloween Decor: BOO Sign"
Wow this is the cutest Halloween craft! Thanks for joining and sharing this at Cooking and Crafting with J & J.
HA! This is SUPER cute! What an adorable sign! Those big googly eyes are a hoot!